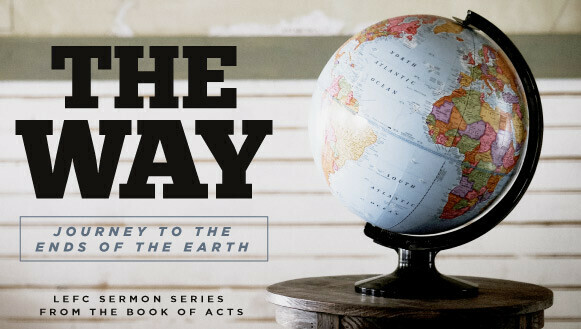 If we want to understand the history of the church and the Gospel, Acts is our book. This study will continue to give us a picture of how the early church handled its beginnings, struggles and subsequent growth in a culture not unlike our own—somewhat hostile but open to spiritual things. We need this. There is a bumper sticker that reads, “God Bless the Whole World, No Exceptions”. When it comes to biblical faith, it clearly goes beyond geography and politics. How can a deeper understanding of God’s plan of salvation help us cope with the divisiveness of our contemporary political climate? The command to make disciples is plainly stated (MA 28:18-20) and many times it requires us to get out of our comfort zones. Why should we get out of our comfort zones and make disciples? How can we do that? Discuss the ways you and your Life Group is using Mission (what you do in Jesus’ name outside of the church) to encourage each other to ministry and discipleship. Discuss also why we are prone to stay in our comfort zones and many times not make disciples. There is so much familiarity with John 3:16, which is fine, but it was also good to hear about John 3:17 today. Here is the Message translation of that verse: “God didn't go to all the trouble of sending his Son merely to point an accusing finger, telling the world how bad it was. He came to help, to put the world right again.” It is easy for Christ-followers to get caught up in being judgmental of a culture that continues its movement away from God. How can we help each other become better “lovers” of people and avoid our propensity to criticize the culture? Talk about your ‘Oikos” as a group. What is it? Who is it? What are your plans for discipleship and mission in your group’s Oikos in the coming year? I have often wondered if persecution is coming to America. We see some small beginnings of it. What do you think would happen if American Christians came under the kind of persecution the church saw in Acts? Life Groups are the church (in general terms) in its smallest, safest and most intimate form. How could the future of the church depend on them, if persecution becomes severe? Acts 1:8 speaks of the Spirit’s power enabling us to testify to what Christ has done in our lives…So, to whom is God asking you to speak with when it comes to “going” to your Oikos? How can LEFC help you? How is the command to speak the good news to all the earth carried out at LEFC? Gaining a proper perspective of the everlasting God is a challenge. How does our inability to put God where He belongs affect our ability to live for Him and share the Gospel? How do we gain a better perspective of the “eternal, thousand years is but a day” God? How does understanding the “Big Picture” (the whole) of the Bible’s message help us with understanding the smaller portions (the parts--books, letters)? The gospel message is the message of redemption from the “groaning” of sin (RO 8:22). Tim Keller puts it this way, “The gospel says you are more sinful and flawed than you ever dared believe, but more accepted and loved than you ever dared hope.” How does a deep understanding of this truth depend on our perspective of God’s extensive and unconditionally loving plan for our salvation. Sometimes (many times) the world is so chaotic and our present-day culture seems so far from God. However, it has been shown countless times through the ages, that His sovereignty is clearly evident through the most chaotic and horrible of circumstances (for example: DAN 11:2-4). What impact should this repeated lesson of history have on us as we cope with our nation’s cultural and political chaos? God’s Plan A=Multiply disciples (Acts 1:8/MA 28:19,20) and that’s what the church is all about. Is our church doing this? Are we, as Christ-followers doing this? How do we know? How are Life Groups a part of God’s plan A? Who are the people you are sharing the gospel with and discipling? How can we be more effective in the job of intentionally sharing our lives (as Paul did) with others who need to see and hear of Christ’s gift of love and eternal life?